She transforms from Alice to Snow White, a fish and a pirate in just under two hours. 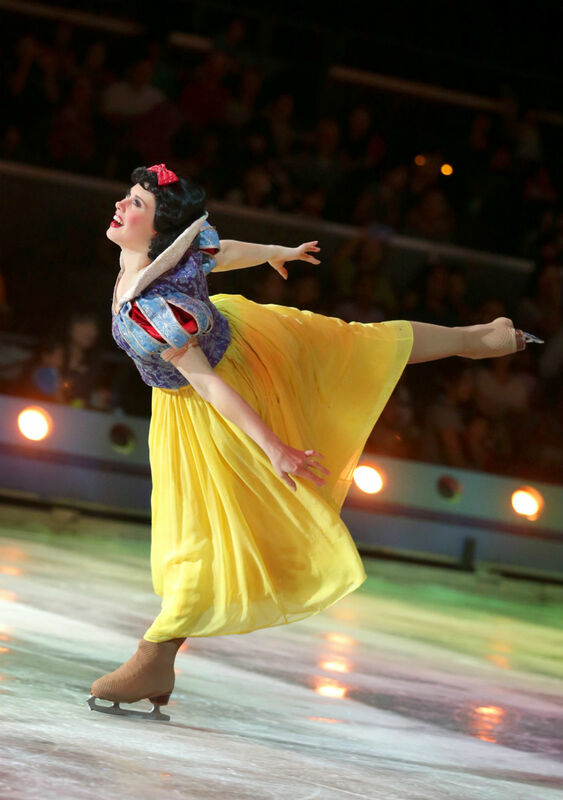 American Katherine Erickson, is a principal skater and part of the cast of Disney On Ice: Treasure Trove. The 30-year-old said that playing four different roles is not easy - adopting accurate and natural characteristics for each role requires much practice. To develop her personas, she repeatedly watches the movies her characters are from and mimics their mannerisms. She said: "I had to practise in front of a mirror for months to perfect each character. But it's exciting to bring each one to life in my own way." Her quadruple roles demand that she train constantly - up to six hours a week - on top of performing in nine to 12 weekly shows. The troupe started its Asian tour last July and has been on the road for about nine months, travelling to a new location nearly every week. A typical day will see Mrs Erickson heading to the gym before beginning rehearsals for her two main roles. She plays Alice in Alice in Wonderland, and Snow White in Snow White And The Seven Dwarfs, while taking on two more ensemble roles as a pirate and a fish. Mrs Katherine Erickson (in red) with the head of the troupe's costume department getting her costume mended. Mrs Erickson getting her skates sharpened by Mr Keiji Tsukamoto, who is also a skater on the set. She is practising lifts, which are part of her routine, with skating partner Nathan Miller. 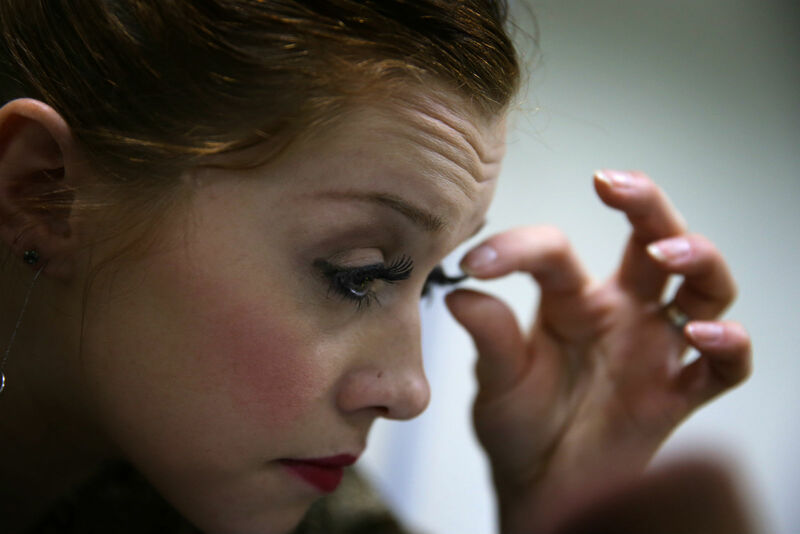 Cast members are trained to do their own make-up for each role they play. Mrs Erickson takes longer than most to put on her skates because she has to thread her laces through the eyelets one by one. Mrs Erickson putting her skates on for practice. She has about an hour to practise before others take their turns on the ice. Mrs Erickson starring as Snow White.